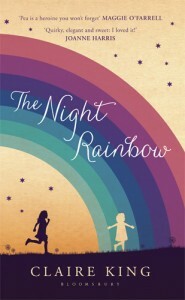 After some discussion with booksellers, The Night Rainbow UK paperback, which is out this August, is getting a new cover. So here is my collection of covers, including USA / Netherlands / Germany in case you’ve not seen them! it must be difficult if you don’t get any input on choice of book covers. I really don’t understand why paperbacks must have a different design. I have to say I prefer the hardback and I can’t make out what’s happening in the USA one, but hey, I wish I had that problem. For the UK covers, although the designs have been worked up and agreed internally in advance, I was then given plenty of opportunity to have my own input. Fortunately I really liked both of them. For the US cover, the one you see above is the third that I got to see, having strongly opposed two others. There it was a case of working with their expertise on the American market whilst sticking to some principles I felt were important. It actually represents a scene in the book. For the German and Dutch designs, although I wasn’t invited to give input, I’m pleased with what they came up with. The Dutch one is very Le Petit Prince and the German one is so striking…I’m very lucky. I did a post interviewing my paperback editor here, where she answers the question about why change covers. In my instance we were originally keeping the hardback cover, with slight modifications, but then there was some input from retail about how it will look on the shelf, and a subsequent change of plan! Bloomsbury know more about selling books than I do so I’m sure there are sound marketing reasons to change. The new cover is a lovely illustration and probably truer to the tone of the book as a whole piece, a little bit more ‘grown up’. You’re not really going to complain if someone gave you either version and said there’s your cover. They’re both pretty cool but I just love the hardback version illustration and the trade paperback version I got for review more. It’s much more bold in terms of design and suits the character of Pea and sense of place perfectly. I know it’s supposed to be cultural but both the NL and USA covers don’t seem to have much essence of the story or Pea herself although they’re nice enough designs. The best I can say about that German version is that it was a ‘bold’ decision. 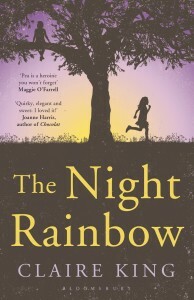 I think when it comes down to it we’re hoping that the new paperback cover will help sell lots more copies! It does have more boldness to it, perhaps more enticing to people worried it might be too ‘saccharine’ a story, which many reviewers have said they were kind of anticipating, and were pleased to discover that it’s not at all like that. I’m VERY happy that running Pea is still on there, as that silhouette still gives me goosebumps! And then there’s Germany and the peaches of doom. Ja. To be clear, I do like the German cover. It’s just a very different feel, obviously. and it makes me laugh when I know it shouldn’t — but in truth, it looks v serious and the story does reflect that, and it’s got quite a nice ‘heavyweight’ feel that is rather becoming. Ja. Ja, ja. I know what you mean, it makes me laugh too, but only because it’s quite an uncomfortable image. Where the UK and Dutch covers pull out the slightly magical element of the story, the German one hits right at the dark parts. I think that image sitting beside the title poses a conundrum for the reader. Ja. German one still gives me the willies (and not in a good way). Can’t wait to hear from someone who’s read the translated text! Will ask my piano teacher!